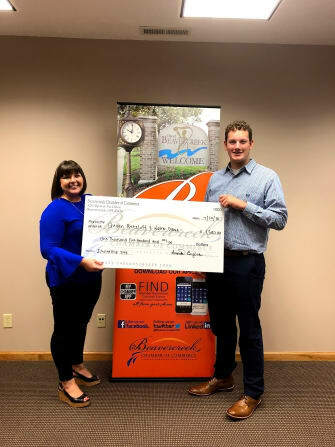 The Beavercreek Chamber of Commerce is proud to announce the three winners that were selected to receive the Beavercreek Chamber of Commerce Higher Education Fund Scholarships for 2018. Each recipient was awarded a $1,500 scholarship to use at their chosen university this summer/fall. Proceeds from this year’s Celebration of Excellence Gala presented by Clark State Community College were used towards funding these scholarships. 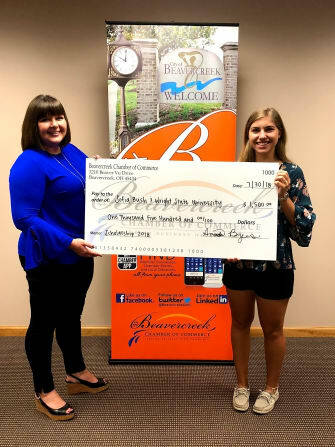 Each year the Beavercreek Chamber Higher Education Fund awards scholarships to local high school seniors who demonstrate high qualities in academics, citizenship, and leadership, in support of furthering their education. 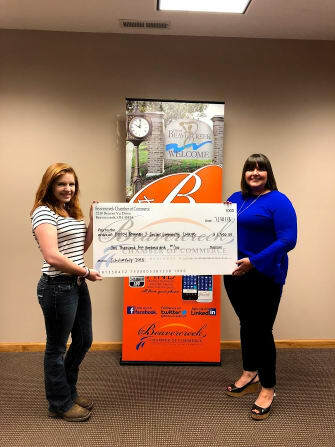 The fund is supported through the Celebration of Excellence Gala as well as donations from our business members and the Beavercreek community. Graduated from Carroll High School and pursuing a degree in Neuroscience at the University of Notre Dame. Graduated from Beavercreek High School will be pursing a degree in Social Work at Wright State University. Graduated from Greene County Career Center and pursuing a degree as a Veterinary Technician at Sinclair Community College. The Beavercreek Chamber of Commerce believes a well trained and educated workforce is key in growing a prosperous business environment. For over 25 years, our members have invested in our future by providing scholarships to selected Beavercreek graduates. Many of our scholarship recipients have continued to invest in our community as fellow entrepreneurs and professionals. We are proud to have such talented and gifted young people in Beavercreek. Please support our efforts by making a tax deductible donation today. Click Here to Donate Now!